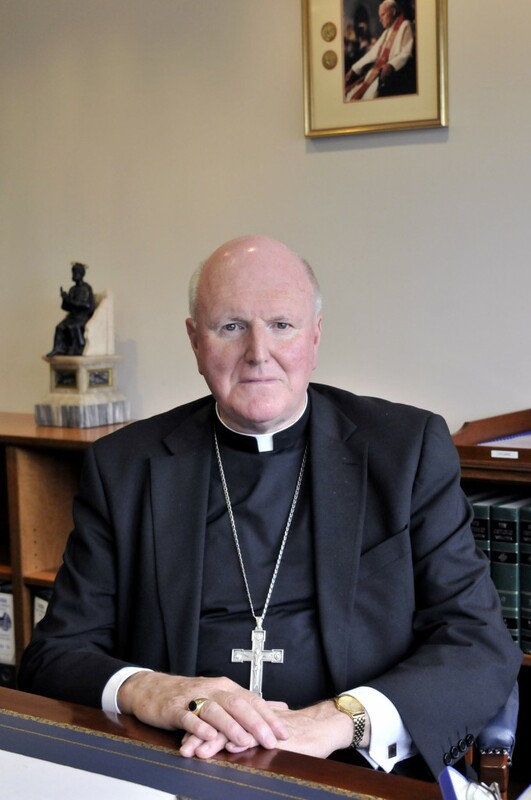 Archbishop Denis Hart – President of The Australian Catholic Bishops Conference, pointed to Jesus Christ as a sign of true humanity in his 2015 Christmas message. Photo: Supplied. The recent horrors in Paris, Syria and throughout the Middle East show that our world has changed. The dark, foreboding thrall of possible violence, the struggles of nations and the never-ending lines of refugees underline the suffering which is so present in our human condition. It is not surprising that we become anxious and restless, and even when we do get some peace our wounds and memories are a burden to us. Yet we sense that there must be something more to life. In the midst of this suffering and confusion the Lord comes to us again as a tiny baby. If we spend some time in prayer then we will see the answer that God gives. He came to share our human nature, to make sure that we always had hope. Christmas is a time of joy because we know there is something more, that God will never desert us. The light shines, yes in darkness, but it will never be overpowered, because Jesus of Nazareth, the infant, has come once more to let us hold him in our frail arms and lives. He will teach us the way to true humanity, to see the beauty and dignity of each other, to give us his gift of peace. May the peace of Jesus shine in your hearts and lives, now and always.